Yesterday there were marches of human rights activist and protestors around the globe commemorating the 2nd anniversary of kidnapping and murder of students from the Ayotzinapa Normal School in Guerrero state in Mexico. Some people say this is old news (the disappearances and subsequent investigation by the government) and why do we continue to dwell on it. 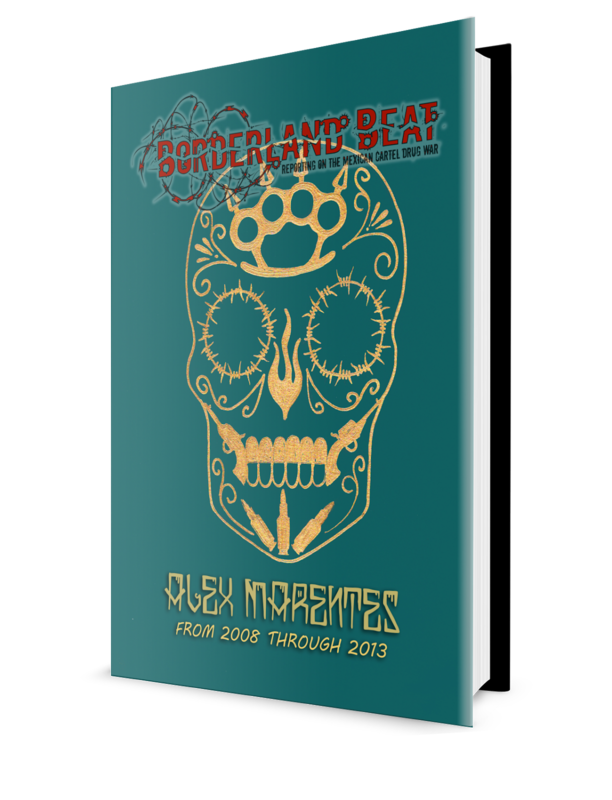 They say we should just move on because we may never know that really happened and the students are only a tiny fraction of the total number of disappearances in Mexico over the last decade. In answer to them, there are many reasons why we cannot allow the case of the 43 (as it has become known as) to just become a statistic and forgotten with the passage of time. Can you imagine the uproar that would shake the world if 43 students from an American university were kidnapped and disappeared. The emergence of a social movement with international reach is one of the few positive developments in the Ayotzinapa case over the last two years. "We are all part of a system," said the Mexican Catholic priest and human rights activist Alejandro Solalinde during a lecture at Barnard College in Manhattan on May 5, 2015. "If we analyze reality as scattered elements we won't find answers… But if we interpret everything as part of a larger system, then we will understand what is going on." Solalinde described Ayotzinapa as X-rays of Mexican politics. Amado Tlatempa, cousin of two of the 43 missing students—Jesús Jovany Rodríguez Tlatempa and José Eduardo Bartolo Tlatempa—believes that Ayotzinapa has elevated the moral conscience of Mexico, and will give people the courage to fight for their rights. There are many human rights cases we still don't know about. 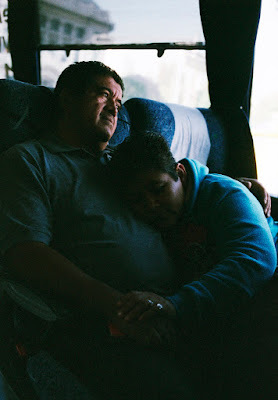 But Ayotzinapa has opened a road to justice," Tlatempa told NBC Latino. "The mass kidnapping was really about silencing protestors, silencing an entire group of people, who are exposing what the government is doing bad," said Silvia García, a native from Mexico City marching in New York yesterday. While the case of the missing "43" was at the heart of a march on Mexican Independence Day that the protestors were calling for the resignation of President Pena Nieto was not successful in getting him to resign, the lead investigator for the case in the Federal Attorney Generals office did resign this week. Most commentators believe his resignation was the result of the embarrassment to the EPN administration over the now totally debunked government investigation. (But as is typical in Mexican politics, within hours of his departure from the A/G's office he was appointed by EPN as an advisor to the National Security Council reporting directly to the President). Keeping a light shined on the case of the 43 has not only resulted in the creation of a social movement, it has allowed other facts to emerge that further debunks the government version of events. Accusations of torture, tampering with evidence, and a concerted government cover-up have also swirled around authorities.Telesur raises some interesting questions that have not been answered by the government. "Mexican security forces managed to capture the world’s most-wanted drug lord Joaquin “El Chapo” Guzman months after he escaped from high-security prison for the second time, but two years after 43 students from the Ayotzinapa teacher’s college went missing, authorities have failed to corner the cartel boss known as “El Caminante,” who played a leading role in the kidnapping and enforced disappearance of the students.
" 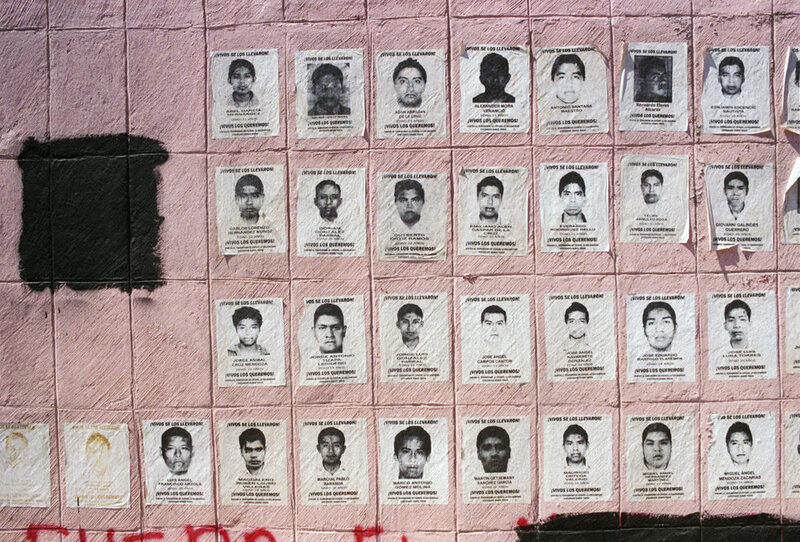 According to an independent group of experts from the Inter-American Commission for Human Rights, local police in the town of Iguala alked on the phone with El Caminante at “critical times” throughout the night that the 43 youths disappeared from buses they had commandeered to attend a protest in Mexico City.
" 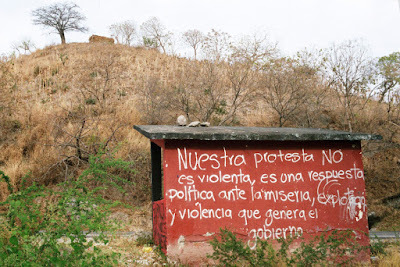 An analysis of telephone calls conducted throughout the night by local police in Iguala and the neighboring town of Cocula, near the garbage dump where the government controversially claims the 43 students were incinerated, revealed some telling clues. 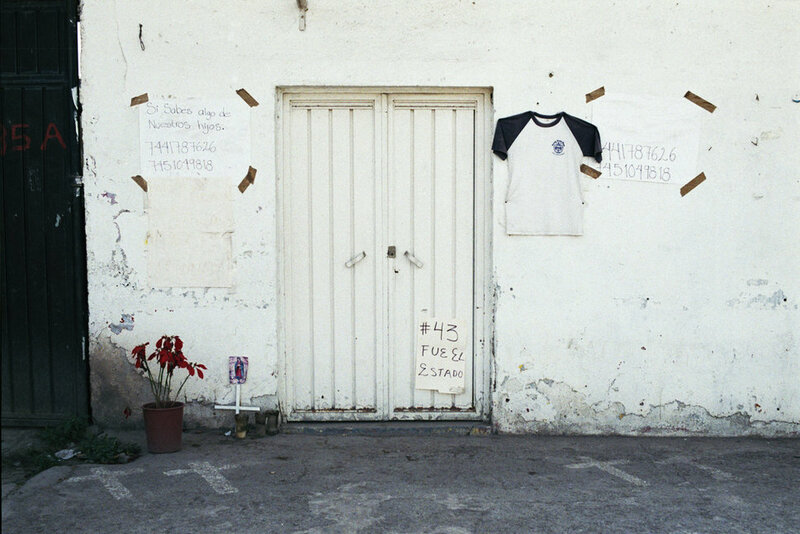 "First, although Iguala police — who prosecutors accuse of kidnapping the students and handing them over to the local gang Guerreros Unidos to kill and burn in the dump — claim that they were in the police headquarters in the early hours of Sept. 27, 2014, phone records reveal at least three officers were out on patrol during critical hours in the case. GIEI experts questioned why government investigators have not addressed this inconsistency. "Additionally, telephone records of Guerreros Unidos' gang members showed that their movements on the night of the disappearance did not match the alibis they provided in police statements. For example, one defendant claims that he was in the Cocula garbage dump — the most contested aspect of the government’s story — on the night of the kidnapping but his phone records suggest otherwise. "Third, phone data analyzed by the GIEI show that at least two dozen police officer from Iguala Cocula were in contact with Guerreros Unidos member El Caminante during the night of Sept. 26 and early morning of Sept. 27. 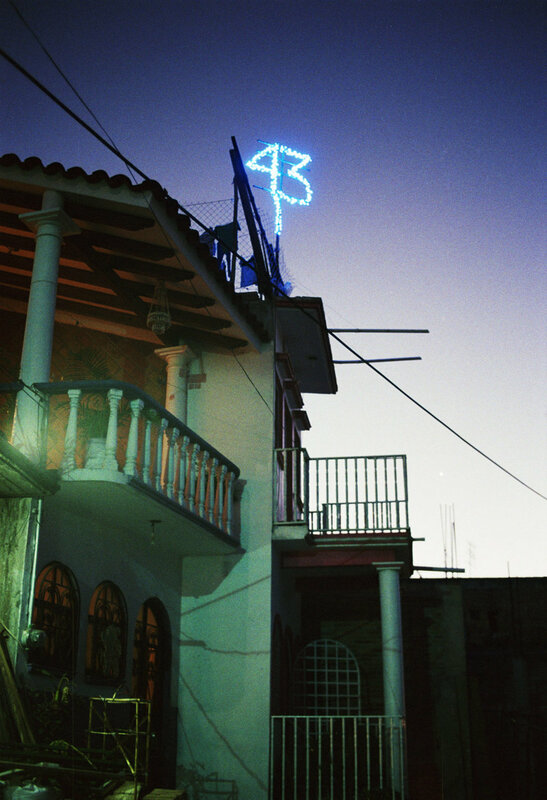 At least three Iguala officers communicated with El Caminante during what experts called “critical times during the chase and detention of the students.” Chief Fausto Bruno Heredia placed no fewer than 10 calls to El Caminante between 10:16 p.m. and 4:32 a.m. local time, which would suggest a high-level of coordination. Critics of the state's official version of the events have noted that El Caminante's disappearance is convenient for a government that is widely believed to be complicit in the disappearance and likely murder of the 43 students. Ayotzinapa has become an emblem of what many regard as government impunity and state collusion with criminal groups that has led to either the murder or disappearance of nearly 28,000 people since Mexico declared its war on drugs 12 years ago. The persistence determination of the families of the missing 43 has been the leading force behind keeping the light shined on their disappearance. The following is a photo essay republished from Huffington Post of what the search for the missing 43 looks like. Roque Planas National Reporter for The Huffington Post. 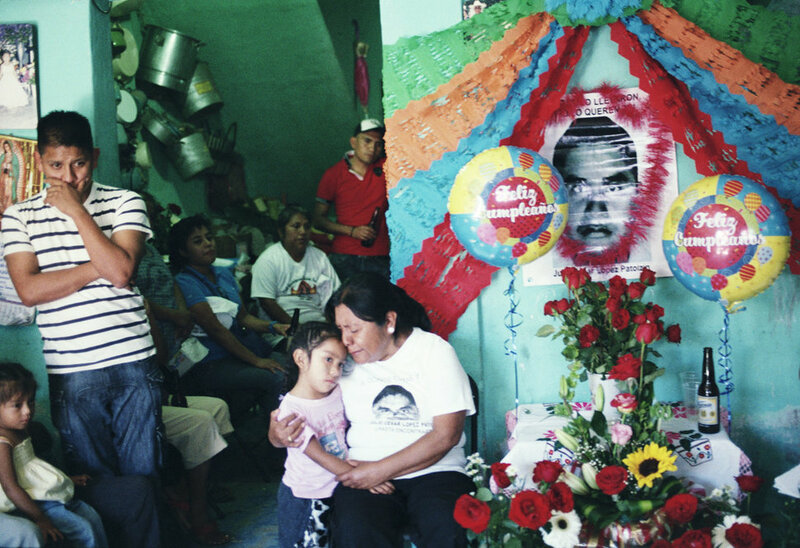 The family of missing student Julio César López Patolzin celebrates his 25th birthday on Jan. 29, 2015. His aunt and niece hold each other as a group of musicians play his favorite songs. 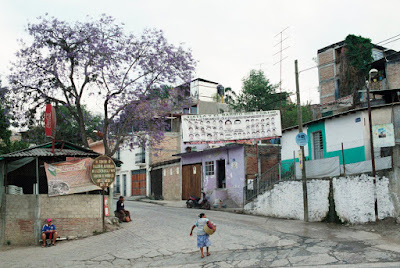 When the news broke that Mexican police had attacked a group of students from a teachers college and abducted 43 of them on Sept. 26, 2014, photojournalist Emily Pederson was living in the southern Mexican city of Chiapas. Though she was 300 miles away from Iguala, where the students were attacked, the case resonated with her. 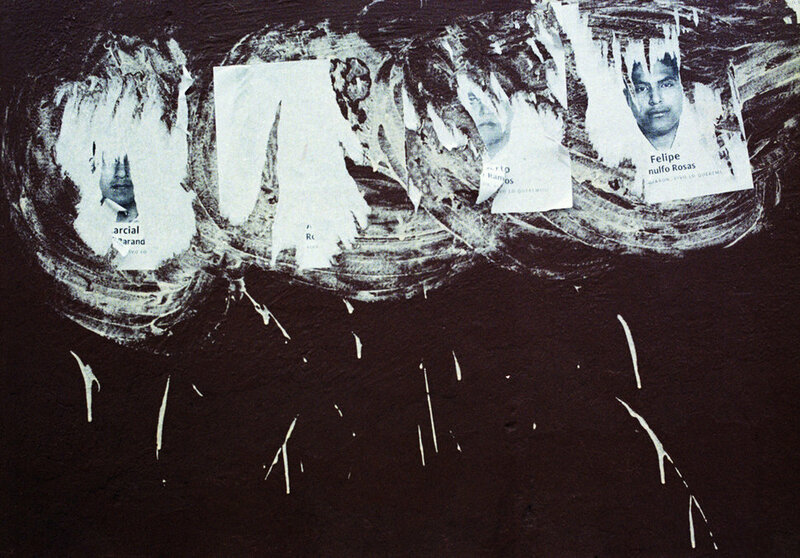 She kept seeing images of the students’ faces plastered on city walls as their disappearance became a symbol of impunity and drug war-fueled violence in Mexico. 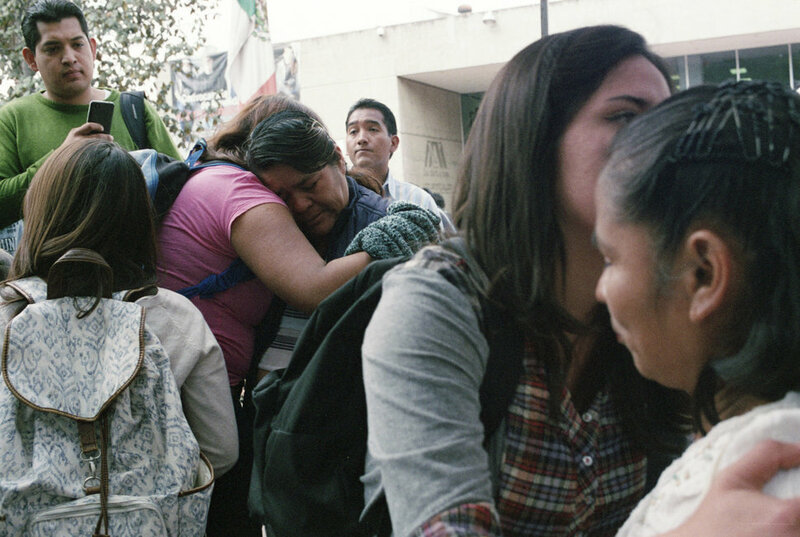 Monday will mark the second year since the Ayotzinapa Normal School students were abducted. Their disappearance has become the highest-profile human rights case in a country where the government has a long history of “accusing innocent people to protect guilty ones,” in the words of investigative journalist Anabel Hernández. 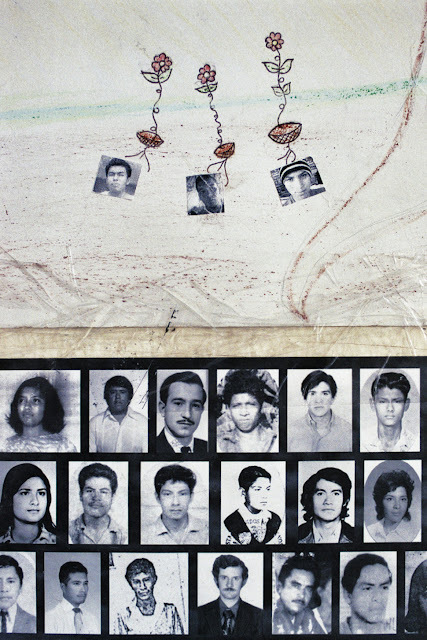 One image Pederson views as emblematic of that legacy is a shot depicting three of the Ayotzinapa students above a poster of people disappeared during Mexico’s “dirty war” of the 1960s through 1980s. Drawings of Julio César Ramírez, Daniel Solís and Julio César Mondragón, the three Ayotzinapa students who were murdered during the Iguala attacks, on a poster at the Ayotzinapa Normal School on March 15, 2015. Below them, a poster shows images of Mexicans who disappeared during the “dirty war,” a period of intense state repression, enforced disappearances and extrajudicial executions between the 1960s and the 1980s. The Enrique Peña Nieto administration continues to cling to a thoroughly discredited account of what happened the night the students were attacked. Prosecutors have arrested more than 100 people in connection with the case, but convicted none. 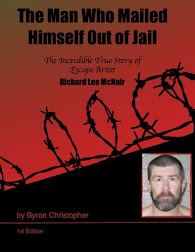 Dozens of the key witnesses upon whom the government based its claims were tortured, casting doubt on the reliability of their statements and likely making them inadmissible in a courtroom. Independent journalists, a team of forensic specialists and two hefty reports by a group of experts fielded by the Inter-American Commission on Human Rights all conclude that physical evidence contradicts the government’s version of events. 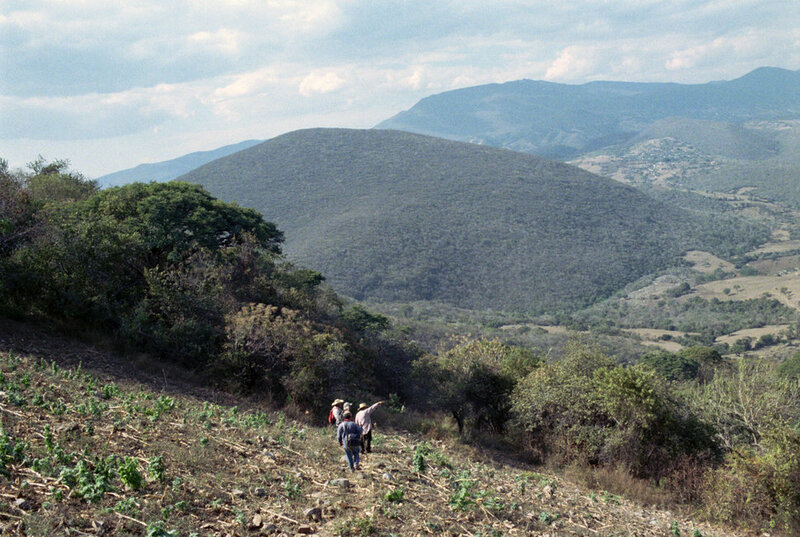 A citizen search organized by families of the missing students in the hills outside Iguala, Guerrero, on Jan. 16, 2015. Site of the attacks in the city of Iguala, Guerrero. Crosses on the ground mark where two Ayotzinapa students were shot. Parents of the missing students have posted phone numbers to call “if you know anything about our sons.” Feb. 13, 2015. Epifanio Álvarez Carbajal and Blanca Luz Nava Vélez, parents of missing Ayotzinapa student Jorge Álvarez Nava, rest on the bus during a week of marching and organizing in Mexico City on Jan. 24, 2015. Students comfort mothers of the 43 missing students at a rally at the Metropolitan Autonomous University in Mexico City on Jan. 23, 2015. The number “43” lights up a family’s rooftop in Tixtla, Guerrero, on Feb. 1, 2015. Tixtla is home to the Ayotzinapa Normal School and 14 of its missing students. Student survivors of the Iguala attacks and disappearances sit in the auditorium of the Ayotzinapa Normal School on March 16, 2015. DD: We cannot allow the memory of the 43 to end up like this. All the photos shown here are from Emily Pederson collection. More can be seen on Huffington Post. She is also working on a short film called “They Took Them Alive,” scheduled for release within the next two weeks. Yes indeed. These innocent 'students' ... lest we forget, they tried to steal 6 or 7 buses. A hell of a price to pay for pencils and books. Well brother,your poetry sings out and expresses the heartfelt opinions of many of us here,it eloquently expresses better than i could any words to describe this shameful episode and the monumental indifference yet again of the Mexican government to the murdered and missing 43..The torment and heartbreak of so many families will never end..
For epn's "private" September 15 2016 celebrations, THOUSANDS OF PEOPLE WERE BUSED IN TO THE ZOCALO, they were paid with tortas y sodas, everything paid for with the mexicans treasury money, for benefit of corrupt assassin epn. Mexican students "borrow" buses and it has been OK since 1968, to celebrate the fallen students murdered by luis echeverria alvarez and gustavo diaz ordaz in tlateloco until epn and emilio chuayffet chemor "la emilia" decided otherwise in 2014, 36 years after tlaltelolco the mexican satrapy has learned nothing...some commenters just become dumb, or dumber. I know there are far less comments on these pieces but the importance of the human rights issues and lack of justice / corruption / impunity perpetrated upon society at large by the cartels, their warring factions , the Mexican gov't , and their security forces are far more important than " hands in the taco bowl " articles , although they show rather well the reality of the lives of the innocent and should not be forgotten. What a hideous incident, sadly , among many. Less comments yes. But those are the ones who actually can read. And are not on here just for pitures of some one who's missing a body. "Your search - http://www.am.com.mx/2016/09/27/leon/sucesos/secuestran-a-9-mujeres-de-anexo ... - did not match any documents." Yes there would be an uproar is this happened in the US. As there would be an uproar if students hijacked buses an toll booths . I no way condone what happened to them but maybe just maybe they're would have been a different outcome if they hadn't done what they did. Is there something wrong with you...jesus some people are just plain stupid. To remain silent is to submit. Let the struggle against all forms of oppression continue. Viva Cristo! They took them alive, n u will never get them back. They haven't made the Mayor or his wife sing, u will never see them. Cuantos mas peña nieto? Cuantos mas.....?? Mensaje De Pena nieto ala prole De border beats!!! 43 ×72 mas los que faltan...vuelve a ponerte tus cadenas esclavo... Soy tu dios "PRI"
12:37 as long as the US keeps supporting the bankrupt policies of extreme right nazi ultra-derechistas, and "neo-liberals" in LatinAmerica, africa, asia, the middle east, the US or europe, there will be no end, entienden? What was wrong with woking in peace? The troll had to appear and hijack even this story,what a sad day when this thing discovered BB. Maybe some day we will know the truth and maybe someday i would iron you right out ye eard me mi ruka.Tell us the real on your theory of what happened,we know you have one. May God bless there souls...and may the ones responsible for this burn for eternity. What a great article and pictures I've never seen!Thanks DD and the comments are rolling in.5:19-I agree with you!If there was no collusion between gov and cartels well there would be nothing to hide right but of course they are saying where's the proof?Maybe someday someone who knows what happened will tell when they are safely abroad. --YOU THE FEDERAL GOVERNMENT ALSO HAVE HAD 2 YEARS TO DISAPPEAR THE EVIDENCE... how about the investigators use enhanced interrogation techniques on you, epn? That guy was a normalista too? The hijacking of the buses was not the reason for them being murdered. The students gathering in a provocatively large group and entering a narco plaza, was the cause. The way the students were perceived by the narcos was seen as a threat and/or an inconvenience to them. The students have stolen buses before in protest, but did that happen in the same area that they disappeared from? If their prostest was familiar to people in the area, why were they seen as such a large threat and subsequently murdered??? Chivis have you seen or heard of the documentary film "Watching Them Die"? It's on Netflix, and is about the students. I haven't noticed anybody mentioning the film on BB yet, it's from 2015. Can we berate them for stealing buses and causing nuisance.Isn't that the way you can engender change,or have a voice?Even now after all this tragedy they still have no voice.If a gov is not only completely useless,but antagonistic in the extreme,people get so outraged by the neglect and indifference shown to folk such as the 43 and their families/towns that there absolutely is no there way? "Señor presidente escuche a su gente, sus politicas han fallado"
"Toda la vida es sagrada, no nomás las vidas de sus amigos"
"No hay pan, pero si hay circo"